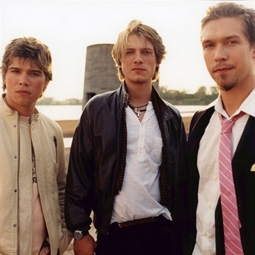 Hanson came on the scene in the late nineties with an infectious single that lit up the charts, and simultaneously overshadowed the abundant musical talent of the sibling trio from Tulsa, Oklahoma. 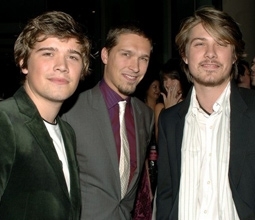 After years of adversity and what seemed like an endless uphill battle to get a record deal, Isaac, Taylor and Zac Hanson also stood in amusement as the sugary pop tune, MMMBop, brought them world wide, caricature-like fame after years of struggle. The general public met Hanson as young boys churning out corporate pop music for Mercury Records, while their loyal and almost cult-like fan base of today has followed Hanson through a dozen albums and an independent recording career punctuated by soulful, almost folksy, vocal heavy rock music. 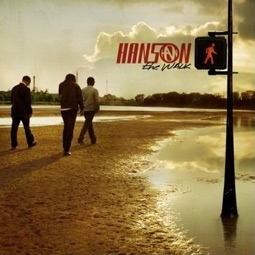 Devoted Hanson fans can catch a glimpse of the band's behind-the-scenes creative process in their documentary series, Taking The Walk (available for free at iTunes.com). The three brothers write their own music in a collaborative effort, sharing their personal experiences with every syllable of every verse. What’s more impressive about the three young Tulsa natives is their choice to shun the rock n’ roll single life in favor of marriage, and their refusal to adhere to the moral code and debauchery of the L.A. music scene. Instead, firmly planted in their roots, Hanson decided to steer their energies into philanthropy. The brothers traveled to an African hospital devoted to stopping the spread of HIV and AIDS from infected mothers to their newborn infants. They brought their new message home to the states, incorporating the cause into their concert tours. In conjunction with TOMS Shoes, Hanson takes time out from their busy tour schedule to organize walks with fans in different cities to raise money and awareness for people living in poverty and disease in Africa. I recently sat down with Zac Hanson, who hit it big with his older brothers at the tender age of nine, and who at twenty-two years of age is a happily married man with a balanced and down to earth demeanor; most refreshing for a former child rock star. PR.com (Allison Kugel): I want to start with the work that Hanson has been doing in Africa. What sparked your interest in visiting Africa, and what did you discover while you were there? Zac Hanson: We never really intended to be inspired the way we were. We were making this record, The Walk, and we met up with some friends in Tulsa to talk about something completely unrelated to Africa. We ended up on the subject because what they were doing was developing a medical technology with some doctors, and they were giving it away. It was just an inspiring thing that they were doing. We started talking about AIDS and the impact it’s having there, and the impact it’s having in the world. Then the impact it’s having on Tulsa. It’s not that we didn’t know that AIDS was a huge issue, but we all realized, “I’m not sure what role we’re supposed to play in this, but we need to go with these guys.” If it means stopping the record for a couple weeks to go to Africa, then that’s just what we’re gonna have to do. A month or so later we ended up going to Africa. The first trip was with them and the doctors they were working with there. We didn’t want to be somebody trying to support a cause that we didn’t know anything about or didn’t take any time to try to understand. It’s not that we know anything now, but what we’re doing is just saying that those who have the opportunity to take the time to experience with their own eyes the reality and impact of a disease that is killing off the working class population… it’s the people who are the young, not the old, but the young and the middle aged, are the ones being affected so strongly. PR.com: While you were there did you meet any AIDS orphans or people who were living with AIDS? Who did you interact with? Zac Hanson: The main purpose was to go to the hospital that they were donating the technology to, the research wing of that hospital which was the PHRU Unit. Their focus is to stop the transmission of the virus from pregnant mothers to their unborn children. That’s all that’s in their facility. They do more now. They work on different vaccines now. PR.com: How is your current tour being tied in with these mile walks that you’re doing with your fans to raise money, and how are you raising the money? Zac Hanson: The last tour we did was The Walk tour and we did do walks. We’re simply trying to find ways that we can do something, and trying to take it a step at a time and say, “Let’s do one more, let’s do one better.” It started with Great Divide, giving that song away and giving all of the proceeds to that hospital when people buy that song. When we finally came across a company called TOMS Shoes we started doing the walks. To me, more than shoes being the greatest solution, it’s the idea of what they’re representing which is a young company that’s a for profit company that’s giving back, and they succeed. Too often I think it’s hard for anybody, when you’re in the midst of trying to become a successful business, to say, “You know, I’m going to give some of my bottom line back, even though I’m struggling now.” It’s a great example of somebody taking what their business is and what their assets are and saying, “How can this help fight something?” In their case it’s poverty and it ties in expertly. Where you find extreme poverty, you find the worst problems with AIDS. On our last tour, we asked people to walk with us and buy shoes. We helped TOMS Shoes sell about 50,000 pairs of shoes (For every pair of shoes TOMS sells, they donate 1 pair of shoes to a child in Africa). It was incredibly gratifying to see that people want to come out and support that. So, now we’re just trying to say, “How do we take that one [step] further? How do we get people to go one deeper then just buying a pair of shoes, and [make them] start to understand other things like education, clean water and healthcare?” Those things are huge issues that are also weaved intricately into what it’s going to take to really change the course of this virus. PR.com: Let’s talk a little about your documentary series that is currently on iTunes, Taking The Walk. I watched a lot of it and it was very interesting. I know that the documentary takes Hanson from the process of forming your own independent label (3CG) to the subsequent full production of your album. Whose idea was it to film Taking The Walk, and why did you feel it was important to show your fans this entire process? 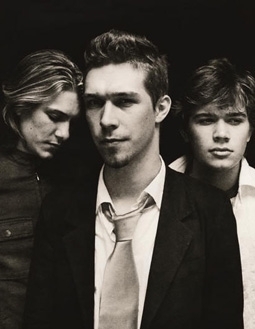 Zac Hanson: Taking The Walk really spawned off of a project we did on our last album, which is called Underneath. Unintentionally, we ended up making a documentary about what it takes to survive the business side of the music business. The intention was to make a film about writing songs, being in the studio and kind of getting this “behind-the- scenes” that most people don’t really get. We felt like we could really do something cool. In the end we ended up making this film about the business, and surviving a corporate music industry that has [occurred] since we started, and since we found success. The music business has changed drastically! If anyone looks at sales records of the last years, and even radio and things like that, it’s a struggling business where people are almost jumping out of windows. PR.com: (Laughs) Do you mean record executives or artists or… what’s going on? Zac Hanson: Well, I mostly mean record executives, but just in the sense that there have been so many mergers in companies, and this musical chairs of people constantly changing jobs and moving. And no one is bright enough in the major music companies to really try to change a [business] model to work with the way people want to buy music. The way they want to sell music is not necessarily the same. They’re still trying to sell plastic, and people don’t care. PR.com: Meaning they’re still trying to sell hard CDs. PR.com: Will your label, 3CG, ever sign other artists? Zac Hanson: I think we will. It’s just been a slow process of trying to figure out the right time and the right people to sign. We don’t ever want to put someone in a situation where we don’t have the time or the resources to really give them the attention that we would expect for ourselves. PR.com: Is the corporate mentality unavoidable within the music industry once a label reaches a certain size? Zac Hanson: It’s always more about the individuals running the company and giving people the ability to make hard decisions. I think possibly the biggest problem with the music industry is more an issue of a mindset and realizing that music is a risk business, and it’s supposed to be a risk business. You’re creating culture. You’re not creating tires. It’s not just about trying to monetize something that looks like what just became successful. It’s supposed to be finding the next big thing, not trying to copy what the big thing is now. When the major music companies went from being privately owned companies to publicly owned companies, the mindset of the companies changed. All of a sudden you start to see the shift to more quarterly earnings and stocks. You start to see more short term thinking, and in most cases it takes longer for records and for artists to find an audience. PR.com: Why have the three of you chosen to remain in your hometown of Tulsa? Zac Hanson: Being from Tulsa and being guys from Oklahoma, it’s just always been something that’s been important to us. Not specifically being from Oklahoma, but being a band that represented something and represented being from a place. We never wanted to be just another band from L.A. We’re proud of where we’re from, some of the culture of Tulsa and what it was and what it can be, in the sense of turn of the century, the oil boom, the smart and cool people who are from here, the musicians that have been from here and the influence they’ve had. It’s something that we’re proud of and we’d like to remain in those ranks. PR.com: And why get married so young? Why not live the single life for a while? 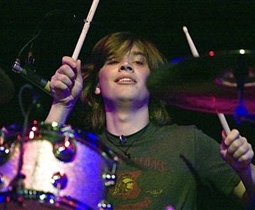 Zac Hanson: Getting married so young, I don’t really look at it as getting married that young. I got married when I felt like it was the right time. It wasn’t about being young. I got married when I was twenty, and we had also been a band at that point for eleven years. PR.com: So, you felt like you had lived a lot more than the average twenty year old. Zac Hanson: I don’t know that I feel that, but I think I probably have in the sense of the things and responsibilities that I have are different than most people my age. One of my best friends is just getting his first job real job now. He just got out of college, he’s just getting his first real job with a big corporation, and now he’s starting his adult life and getting his first house. I’ve been doing that for over a decade at this point (laughs). It’s just different. Also, I’m not that guy. I don’t care about going to bars and stuff like that. I like hanging out with my friends and all that stuff, but the single life, for me, doesn’t have that much appeal. I’d rather have somebody that I can experience all this stuff with, and who can help me get through it. There can be struggle in life and it’s better when you’ve got somebody to help you carry the load. PR.com: You seem to have a very loyal fan base. Why do you think you’ve been fortunate in that respect? Zac Hanson: I’m not really sure. I guess it could be attributed to us. When we first came out we were so young. Our audience latched on to what we were doing and said, “This is a band of my generation and this represents who I am right now.” With everything we’ve done with every record, we never worried about whether it sounded like Hanson or not. We just made records that we feel passionate about. Our original influences were 50s and 60s early rock n’ roll. Those were all hits from “note one” type of songs. So, if that’s your bar, which we still set, even if you’re not worrying about writing a hit, you’re still trying to write a hit song if that’s the bar you’re looking at. We really appreciate everything our fans do. We have incredible passion from our fans. It’s become something more than just a concert or a record. I think there really is legitimately a culture in our fan base of people who are music lovers and caring about things like doing the walks. Hundreds of people walking with us in over 100 degree weather, or on the last tour in Canada where it was freezing! It was below freezing, snow on the ground and everybody walking with us. To find tour dates and cities for Hanson’s “The Walk Around The World” Tour visit www.hanson.net or go directly to www.hanson.net/site/hanson/page/16. To learn more about Hanson’s work with TOMS Shoes visit www.hanson.net/site/hanson/page/24. 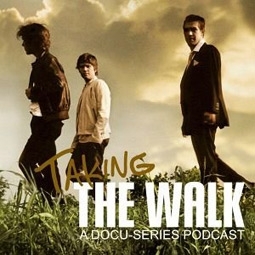 Download Hanson’s documentary, “Taking The Walk,” at iTunes.com.